Have you been diagnosed with a fatty liver? Do you carry excess fat over your torso? Fatty liver is a modern day epidemic. It affects approximately one in four people in many parts of the world. If your liver is clogged with fat, it will not be able to burn fat efficiently. That means weight loss feels impossible. Your liver performs more than 400 functions in your body. Its main functions involve energy production, fat metabolism, and the processing of sugar and protein. If your liver isn’t functioning well, you will be tired and have a slow metabolism. If you consume more carbohydrate than your body can tolerate, your blood sugar may rise excessively. Insulin is released by your pancreas, into your bloodstream. Insulin is a trigger for your liver to begin storing the excess glucose inside its own cells. When your liver is full of glucose (glycogen), it begins storing the calories you ingest as body fat. People with a fatty liver usually have too much insulin in their bloodstream. They are said to have syndrome X. This is a problem because insulin blocks your fat burning hormones from being able to work. So you could be on a low calorie diet and exercising regularly, yet not be able to lose weight. It’s a cruel reality for millions of people with a fatty liver. The liver possesses remarkable abilities to repair and renew itself. That means fatty liver can be completely reversed, if it’s detected early enough. This is why it’s so important to ask your doctor for a liver function test if you are unfamiliar with the health status of your liver. Fatty liver is increasingly seen in children. This is worrying because the earlier in life you develop a fatty liver, the more likely you are to develop complications. Potential complications include cirrhosis of the liver or liver cancer. People with a fatty liver are also at heightened risk of developing type 2 diabetes. This makes weight loss even more difficult. This is not a low-fat low-calorie diet. It will not leave you hungry and tired, and after a couple of weeks your cravings will disappear. My eating plan provides you with first class protein regularly throughout the day, along with plenty of vegetables and some good fats. This needs to exclude sugar, flour and foods containing these things. Avoid all foods with added sugar. If you are overweight and find it very difficult to lose weight, it is more effective to exclude all grains and follow a “no grain diet”. Raw vegetables and fruits are the most powerful liver healing foods. These raw foods help to cleanse and repair the liver filter, so that it can trap and remove more fat and toxins from the blood stream. Eat an abundance of vegetables (cooked and raw salads). Limit fruit to no more than 2 servings per day. 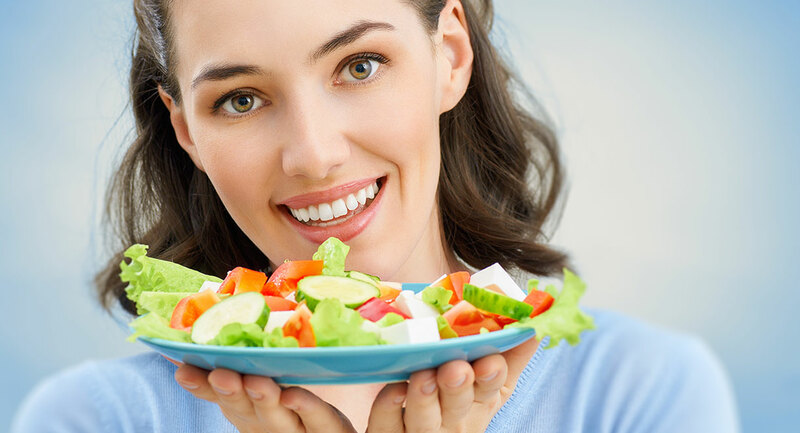 Eat a large salad every day, or better still twice a day and use a nice dressing made with cold pressed oils and apple cider vinegar and lemon juice. There is an easy to follow lower carbohydrate, higher protein eating plan in my book Fatty Liver: You Can Reverse It. These include all deep fried foods, processed and preserved meat, partially hydrogenated vegetable oils and trans-fatty acids found in margarines and cheap cooking oils. Avoid hydrogenated oils found in processed foods and snacks (read the labels on foods to see if they contain hydrogenated vegetable oils). You do not need to follow a low fat diet and indeed you need to eat the healthy fats found in seafood, cold pressed vegetable and seed oils, free range organic eggs, avocados, raw nuts and seeds. A fatty liver is an inflamed liver and raw juices are a powerful natural anti-inflammatory remedy. If you have a fatty liver, your liver cells desperately need the vitamins, minerals and antioxidant pigments in fresh raw vegetables. Juices are therapeutic because they provide an added boost of nutrients, on top of the vegetables I’d like you to eat in salads for lunch and dinner. There are specific juices for the liver in my book Raw Juices Can Save Your Life. A regular exercise program is important as it speeds up your metabolism and reduces insulin levels. It is important to find an activity you enjoy, and start slowly and gently. It takes time to build up fitness and strength. We all have to start somewhere. If you are extremely busy and don’t have the time or energy for exercise, even a ten minute gentle walk will help you. Take a liver tonic every day and use a tonic that combines the clinically proven dose of St Mary’s Thistle combined with B group vitamins, antioxidants and sulphur rich amino acids. 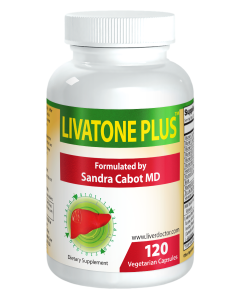 Livatone Plus contains everything you need in one powder or capsule; this enables you to avoid having to take multiple tablets of the individual ingredients. Suitable liver tonics promote repair of damaged liver cells, and facilitate the fat burning and detoxification functions of the liver; they can also speed up weight loss. There are certain herbs and nutrients that help to make insulin more effective in your body. This is a good thing because if it’s more effective, you won’t need to secrete as much of it into your bloodstream. The most important nutrients for insulin action are chromium and magnesium. You have probably heard that chromium helps to reduce sugar cravings and it’s true. It does this by helping to keep your blood sugar stable throughout the day. Chromium deficiency is incredibly common because not many foods are a good source of this mineral. Also when you eat sugar or high carb foods, it flushes chromium out of your body through your urine. Magnesium is also necessary for healthy insulin action. People who take blood pressure medication or diuretics (fluid tablets) are typically low in magnesium. Magnesium helps to relax your nervous system and makes you feel less stressed. Thus it is fantastic for people who eat when they feel stressed. Gymnema sylvestre is an herb that helps to keep your blood sugar stable and it helps to reduce sugar cravings. It is also very good for diabetics. Bitter melon is a vegetable that is commonly used in Asian cuisine. True to its name, it is an extremely bitter vegetable and many people are not able to handle the intense flavor at all. You can find all of these nutrients and herbs combined together in Glicemic Balance capsules. When taken with meals they help to reduce hunger and cravings and help to lower your blood insulin level. 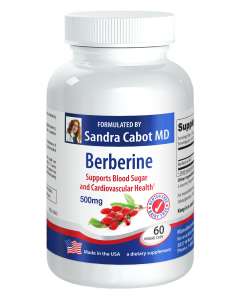 Berberine helps to improve insulin sensitivity, cholesterol metabolism and assists weight loss. 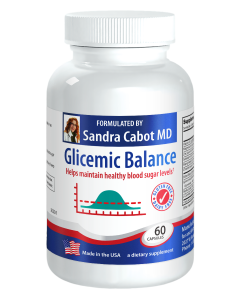 It is very helpful for those with type 2 diabetes or pre-diabetes. Fatty liver is a complex condition but there are ways to overcome it.